The Russian Railways (RZD) train from Moscow to Paris seen here in Hannover. From mid-June 2015 the service will cease to run through Germany during the day, but will be retimed to provide a new overnight service between Berlin and Paris. 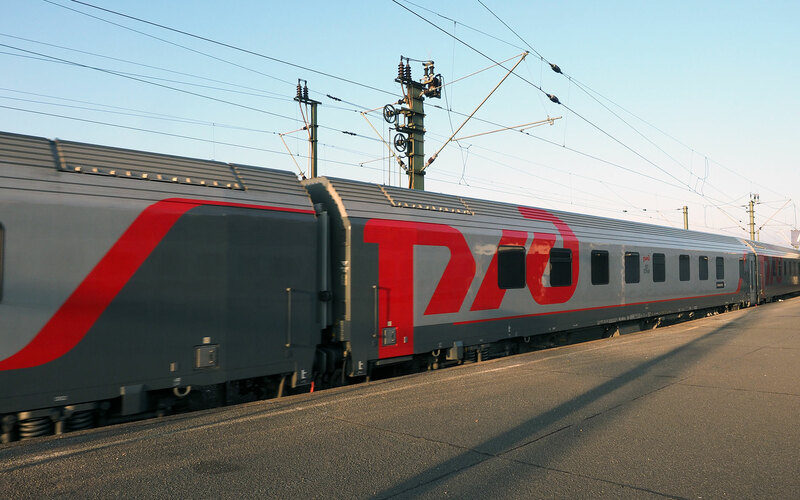 The carriage decorated with the RZD logo is one of the new Austrian-built sleepers introduced on this route in January 2015 (photo © hidden europe). The current issue of hidden europe magazine carries an article on the excellent Russian trains which can be used for journeys entirely within the European Union. Towards the end of that article we noted that over recent months there have been discussions about changing the timings of the Paris-Berlin-Moscow service so that the departure time from Paris would be in the evening. The timings for the revised service have now been confirmed. By shifting from a morning departure (normally at 08.28) to an evening slot out of Paris, the Russian train will now provide — on those days when its runs — an attractive overnight option from Paris to Berlin. There was much wailing and gnashing of teeth among rail users when Deutsche Bahn axed its own City Night Line (CNL) train from Paris to Berlin in December 2014. That CNL overnight service from Paris to Berlin was called Perseus. It was named — like so many CNL overnight services — after a constellation of stars. You had to be very starry-eyed to find anything romantic in the Perseus. In its final year or two of operation, it was lacklustre. We used it on a number of occasions, but dated carriages and the lack of a restaurant car detracted from the service. The new Russian overnight train will leave Paris at 20.05 — that’s exactly the same time as the Perseus. From Paris to the German border (at Kehl), the Russian train will normally follow the timetable path once used by the CNL train. The same applies on the inward journey to Paris. However, while the normal route from Paris will be via Strasbourg to enter Germany at Kehl, for a three-week spell in August 2015, the train will cross the Franco-German border at Forbach rather than Kehl. The arrival and departure times in Paris may have echoes of the former Perseus service, but there ends any similarity between the Russian train and its CNL predecessor. The route through Germany is different. The Russian train will travel via Frankfurt (Main) and Erfurt, and will thus approach Berlin from the south-west. The CNL service routed via Hannover and therefore approached Berlin from the west. The new service will give an excellent overnight option between the French capital and three cities in eastern Germany: Erfurt, Berlin and Frankfurt-an-der-Oder. All passengers on the Russian train will be accommodated in comfortable sleeping cars. New sleeping cars were introduced on the Moscow to Paris route in late January 2015. We’ve already travelled on them. 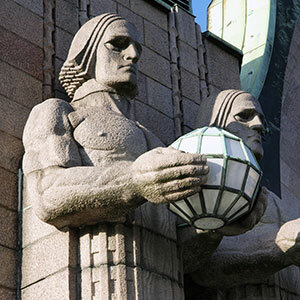 Believe us — they really are some of best on offer anywhere in Europe. The Russian train also carries an excellent Polish restaurant car. We described breakfast in that restaurant car in our Route of the Month feature in the February 2015 issue of the European Rail Timetable (see page 35 in that ERT issue). All in all, we see the new arrangements as a big leap forward. We can certainly see ourselves booking an overnight trip from Berlin to Paris (or vice versa) sooner rather than later. Bookings will open in the third week of April. The first departure from Berlin to Paris will be on Friday 19 June. 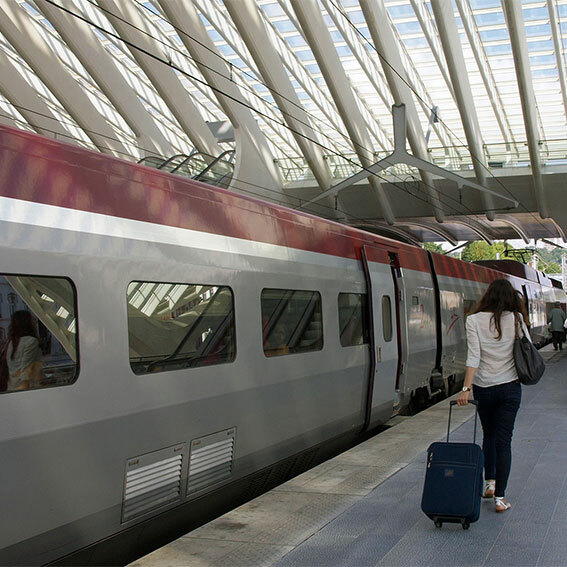 The first overnight service from the French capital to Berlin will leave the Gare de l’Est in Paris on the evening of Saturday 20 June. The one-way fare from Paris to Berlin on the Russian train is currently €120. Even though the journey is presently by day, that fare includes sleeping car accommodation. Russian Railways offer an attractive range of discounts, including a handsome saving for anyone aged 60 or over (without any need for a railcard). The one-way fare from Paris to Berlin for a 60+ traveller is presently about €85. These fares compare reasonably well with those on the old CNL Perseus service, where the cheapest one way fare in a sleeper was €109. Is this really an all-good-news story? Well, the downside is that the new service will not run every night. During the upcoming summer season the train will run twice-weekly in each direction, with departure from Frankfurt-an-der-Oder, Berlin and Erfurt to Paris on Friday and Saturday evenings. The return journeys from Paris will be on Saturday and Sunday nights. We do hope that the new service will be well used. If travellers rally to this new opportunity, let’s hope that Russian Railways will up the service frequency. Even as recently as last summer, the Moscow-Berlin-Paris service was running five times each week. The decline of the rouble has hit the Russian market hard. Can Berliners now fill the empty berths? Only time will tell. We have looked here only at how the new service revives overnight links between Paris and cities in eastern Germany. But of course the train from Paris crosses the River Oder and continues east through Poland to Belarus and Russia. The revised schedule will give very attractive timings for journeys from Warsaw to Paris and vice versa. Departure from Warsaw will be mid-morning, with a 22-hour travel time to Paris. In the reverse direction, leaving Paris at 20.05, the journey time will be 21 hours. The new arrangement will mean that Berliners will secure a new high-quality daytime train from Berlin to Warsaw and vice versa. Leaving late afternoon every Friday and Saturday from Frankfurt-an-der-Oder. n: Does not stop at Karlsruhe or Strasbourg on the mornings of 8 to 29 August inclusive. s: Stops only to set down passengers. Leaving every Saturday and Sunday evening from Paris. p: Does not stop at Strasbourg or Karlsruhe on the mornings of 3 to 24 August inclusive. u: Stops only to pick up passengers. A very good news, but we hope that this train will accept the bicycles like the CNL did. Very very fine cheap and easy I will go for shure and hope that the old traditional tea and breakfast methode still works. Will this train take bicycles ? Most important question - where can I buy the tickets ? Does anyone know if (and if, how) this train will accept bicycles? On Deutsche Bahn kids until 12 are free if accompanied by an adult. How does this work with this company? Found the rules for children by myself, here to share: When travelling on trains: No.17/18 Moscow-Nice-Moscow, No.23/24 Moscow-Paris-Moscow, No.69/70 Saratov-Berlin-Saratov, including direct carriages: Novosibirsk-Berlin, Omsk-Berlin, Chelyabinsk-Berlin, Adler-Berlin and St. Petersburg-Berlin the passenger has the right to take one child under 4 years of age free of charge if it does not occupy a separate place. The child is then issued an e-ticket free of charge without occupying a separate place on one order with an e-ticket at the adult fare. if a passenger does not book an e-ticket for a child under 4 without occupying a separate place, s/he can obtain a ticket free of charge at a ticket office by presenting an e-ticket paid at the adult fare; at the request of the passenger, a child under the age of 4 can be issued with an e-ticket with a place at the child's fare on one order with an e-ticket paid at the adult fare; if one or more children between the ages of 4 and 12 are travelling, an e-ticket must be issued for each child at the child's fare on one order with an e-ticket at the adult fare; for children aged 12 or over, e-tickets are issued at the adult fare. This train is russian origin - I don't want to support an aggressor country by any means. I'd rather pay double the price than to support russian fascim. Thank you all for your various comments. We note a wide variety of views here on train services run by Russian Railways (RZD). As to specific queries, these are best directed to the operator. However, we can say a word about luggage. RZD's policy is extremely generous. Each passenger can take up to 200 kg of luggage on the company's long-distance services (including the Paris to Moscow train). But no more than one fridge per passenger, they say! The conditions of carriage mention that prams, kayaks and bicycles are allowed. See Section 2 in: "http://pass.rzd.ru/static/public/en?STRUCTURE_ID=5116". As on many of Europe's high speed services, you may need to partially disassemble your bike. A bike bag may be no bad idea. Any good agent can sell tickets for the RZD services that run from Nice and Paris to the Russian Federation. SNCF is an agent for RZD in France. In our home city of Berlin, one agency that routinely sells tickets for RZD trains is Bahnagentur Schöneberg: "http://bahnagentur-schoeneberg.de". We have booked our e-tickets on the rzd website which offers an excellent English-language interface: "http://pass.rzd.ru/main-pass/public/en". Last week I went to Xiamen,CHINA at the age of 81. Because of this age, I'm not sure whether I can join the railway trip,I hope to do this. My wife & I are staying in Paris at the Renaissance Paris Arc de Triomphe and traveling to Berlin at the Wyndham Berlin Excelsior.Bahnhof Zoologischer Garten, Hardenbergplatz 11, Berlin“ I am looking to purchase 2 tickets(private sleeper) for two people. We would leave Paris Monday morning the 14th of May Can you please give me my options and also do you have direct routes without changing trains?